Our City has been thriving since its incorporation in 1948. Through the years, the quiet streets lined with mature trees have created an idyllic place to call home. The neighborhood consists of 199 homes and approximately 425 residents. We are located in eastern Jefferson County and are surrounded by the larger City of St. Matthews. 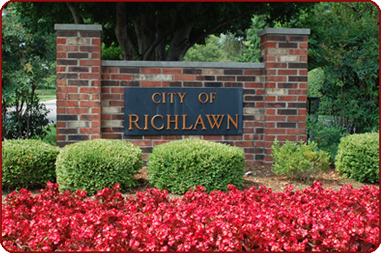 Please use this website to learn more about Richlawn and as a resource to contact City Leadership. Having issues with Rumpke trash pickup, LG&E, or water/sewer? Click here for the Resources page. The City will be holding a special meeting on Friday March 22nd, at 6pm at Old National Bank to consider passing an ordinance on the municipal local government insurance premiums tax. This will be to mirror the actions of the Louisville Metro meeting on Thursday.